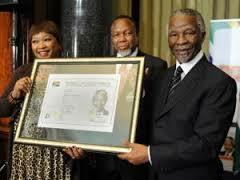 South African citizens received their first promise for smart ID cards back in July 2013 (Nelson Mandela day). Authorities in the country expect the project will take a period of 8 years to implement at a cost of $530 million. According Home Affairs minister, Naledi Pandor, the first phase of applications will begin in February with 100,000 cards to be issued by the end of March. The shift from the current bar-coded passbooks to RFID-based cards is aimed at making it easier for South Africans to register as citizens. South Africans in rural areas face a lot of difficulty in registering as citizens under the new system. The smart IDs contain an 80 KB chip which will carry extensive public sector information including the holder’s marriage licence details and drivers’ licence details.